Munich ! I’m hearing about the city since ages, finally I got there to visit ! 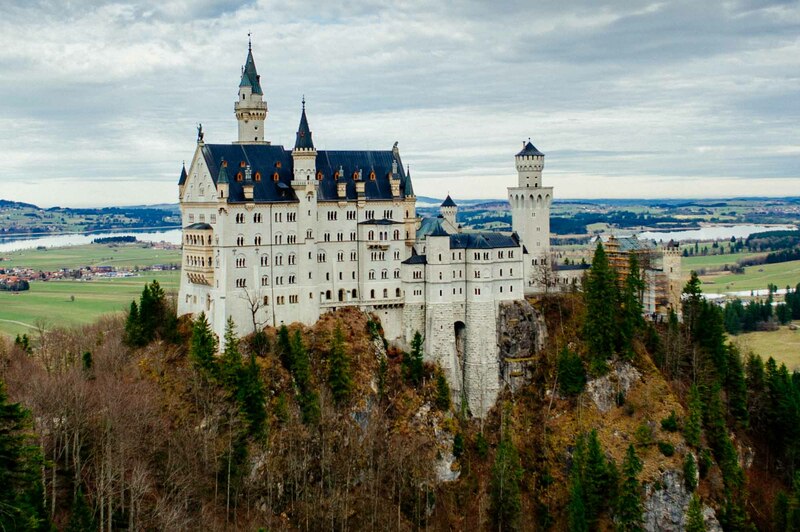 After stopping by Regensburg and Ingolstadt for the midwfery project (which is going really well) Munich was my next destination in Bavaria. I took the train and arrived late to my host from Couchrufing (which was really nice to me). Then after breakfast I left for Marienplatz to discover a bit. Let’s talk about Munich a bit ! 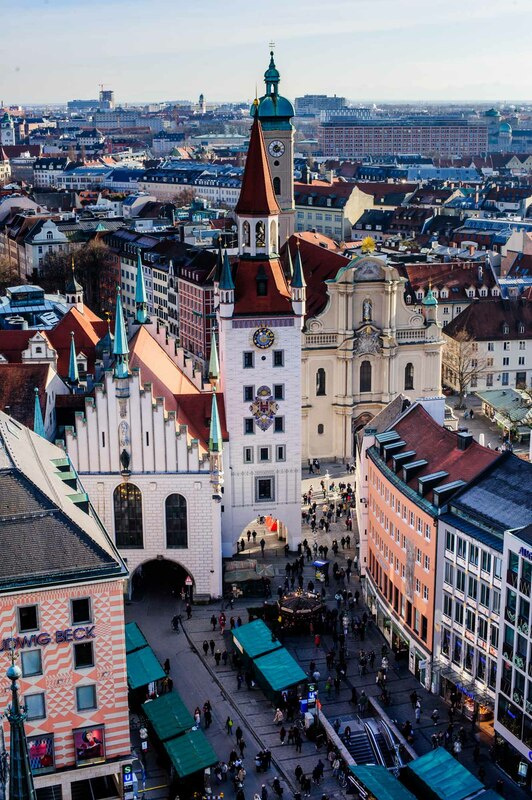 Munich has the lowest unemployement rate in Germany 4,6% (source:www.muenchen.de), which makes the city really attractive, but also makes it really hard to find a flat there. Munich, Münich or München is a major centre of art, advanced technologies, finance, publishing, culture, innovation, education, business, and tourism (I think I’ve listed everything !) in Germany and Europe. It has a very high quality of living. I’m not going to talk about the “Oktoberfest” since everyone knows about it and that I was there on December which is a bit late for it ! I liked having a Gluwein in Marienplatz and seeing the Christmas market I have to be honest and to say that I was expecting a bit more, but that was really fine. 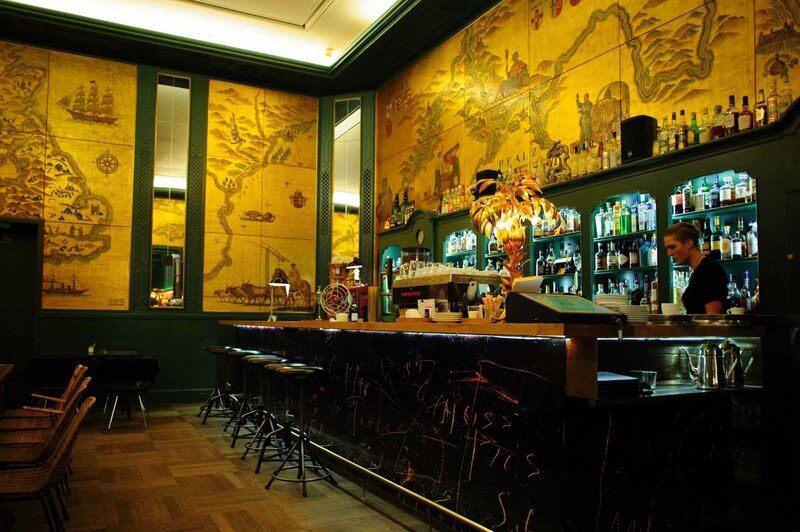 I’ve been advised to go to the golden bar to see the goldy/fancy decoration inside. I can tell you that you won’t regret it. 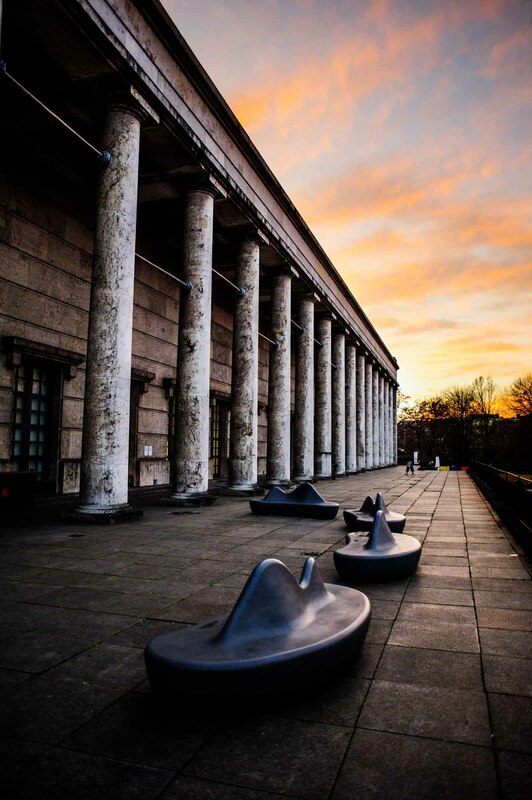 The waiters are nice and the location just behind the haus der kunst makes it a good stop after admiring an exhibition there. on the way I passed by the English garden. I found a really crazy scene, specially in December ! 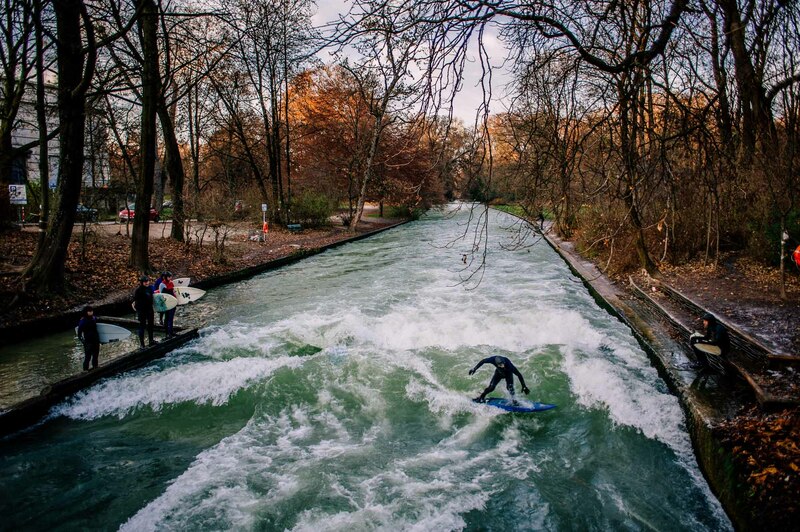 on the river, there was an artificial wave and surfers ridding it. 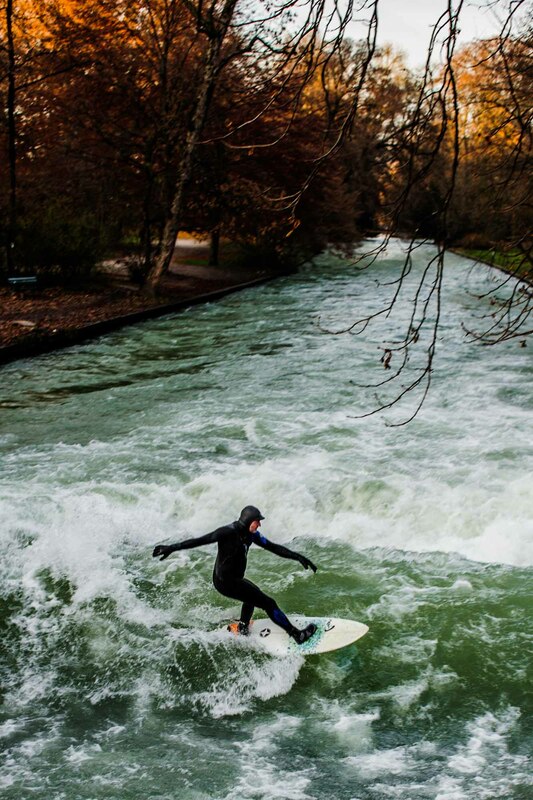 Yes, surfers surfing in December in Munich ! After a Glüwein in Marienplatz, I went to the Deutches museum. But I was running out of time and a bit tired to make the whole visit, the fault of the hot wine maybe 🙂 Shame on me ! an engineer coming until the museum of the German technology and not entering in it ! 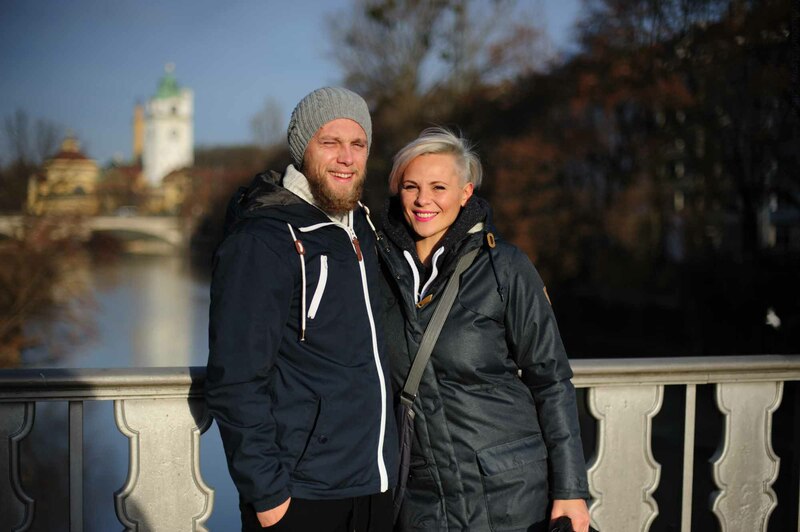 On my way to the Deutsches Mueseum, I met a really nice couple over a bridge. I offered to take pictures of them, they were really lovely and cute ! I had a drink with my host Kurt in the Olympic village of Münich, feels like the olympic games were running just two years ago, the architecture and the atmosphere is “unique” I decided to go there for more pictures during daylight ! which is ended with one afternoon at the Olympic village and one morning at the Olympic stadium. I’ll post them soon, I promise !